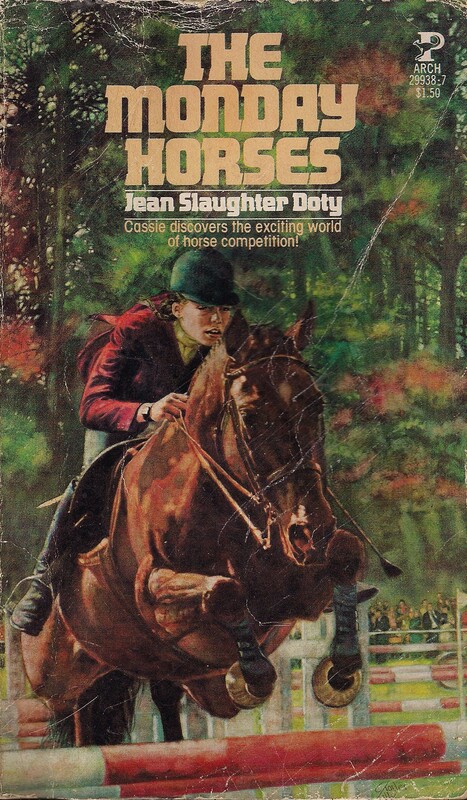 Thanks to Paperback Swap, The Monday Horses by Jean Slaughter Doty (bio & bib, also here) is now in my To Be Read pile. I wonder if it will be as good as I remember. Thanks to Jennifer Bryant for introducing me to Paperback Swap. For the price of postage, my books go to good homes & I get free books in return. Not a joke. See last year’s post for my thoughts on April Fool’s Day. In sum, unless very cleverly executed, pranks are merely socially acceptable cruelty. Update: To prove that I have a vestige of humor, Google Nose is cute. Think I’m going to have to check into that group. And by the way, Monday Horses is as good as you remember! I still have my old copy. It’s a bit dated in some respects, but still a really good light read. And by the way, thanks for the downer on April Fools pranks. I can’t stand them. finally joined Paperback Swap, but will be tomorrow before i can get my books listed. glad they accept non-fiction, as i have more of those than fiction.